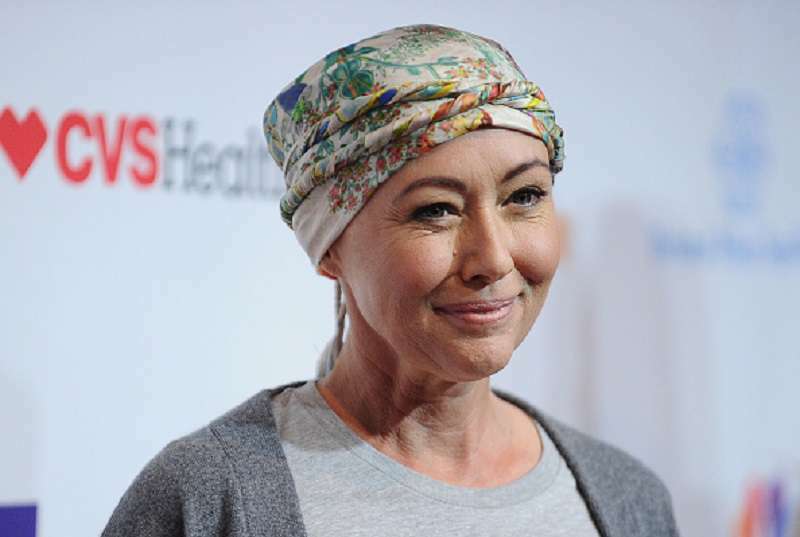 Shannen Doherty is getting right back to her work as an actress after battling cancer. The 90210 star made an appearance in the trailer for the TV reboot of the 80's film, Heathers. This is the 46-year-old's first acting role since being in remission from breast cancer. Her appearance in the trailer was quite brief. Fans saw her pointing a gun at the camera and saying, "Whatever you do, make sure it matters." In the 1989 film, Doherty played the role of Heather Duke, one of the three rich and beautiful Heathers that ruled the school. I started thinking that I wasn't going to live... I don't look past today. What does remission mean? I heard that word and have no idea how to react. Good news? YES. Overwhelming. YES. Now more waiting. She went on to talk about coming to terms with the implications of her situation, especially considering the fact that a lot of cancer patients often relapse within the first five years. A month later, she shared a selfie of herself and her husband, Kurt Iswarienko, where she debuted her gorgeous brunette curls. To celebrate Valentine's Day last year, Doherty gave a special shoutout to her husband. She talked about the love and support he had given her as she underwent cancer treatment. We argue. We disagree. We stare cancer in the face. The face of a very tired girl. Happy girl, appreciative girl... but oh so tired. Goodnight. It's quite clear that Iswarienko has been a great source of strength for Doherty, and fans are thrilled to have their favorite actress back on their screens.